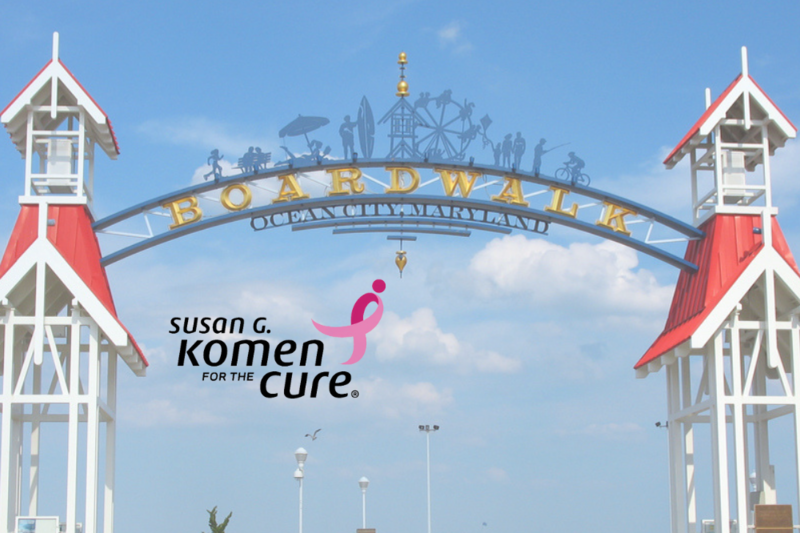 The Susan G. Komen More Than Pink Walk is bringing its new name and a fresh look to Ocean City this April! On Saturday, April 13, the breast cancer walk will begin at 9am following the Survivor Parade (8:20am) and Opening Ceremonies on the Boardwalk at the Inlet Parking Lot. Komen Maryland was selected to be one of 26 locations nationwide to launch this newly energized More Than Pink event. The new approach is focused on bringing energy to the community through Komen’s lifesaving work that every single supporter has made possible. The biggest shift in this year’s breast cancer awareness event is the elimination of the timed run. Now, as a walk, the emphasis is on mass participation rather than a timed race. Their goal is to create a more personalized and emotional experience for those attending. Registration is $20/adult, $10/child. Pets are strongly discouraged from the walk, but strollers are permitted. All survivors will receive a complimentary t-shirt and surprise gift to use in the opening ceremonies. All general participants will receive a surprise gift to use in the open ceremonies but must fundraise $100 to receive a t-shirt. If you’re looking to be involved in the More Than Pink Ocean City Walk, contact Jeremy Roman, jroman@komenmd.org or 410-938-8990 for more information. Register for the Ocean City Walk today! Hope in Bloom: This free educational event in partnership with Atlantic General Hospital will take place Thursday, April 11 from 5-8pm at the Residence Inn by Marriott in Ocean City. Dinner is included. Pre-Walk Celebration: From 5-8pm on Friday, April 12, head to Shenanigans for happy hour, reduced prices on food and drink, and a fun time! Post-Walk Celebration: On Saturday, April 13 from 5-7pm, make your way over to Seacrets for complimentary appetizers, a live DJ, and cash bar. It's the perfect way to celebrate the end of the Walk. Coffee Break: Stop at Coastal Coffee on your way out of town to try their special Komen coffee roast!